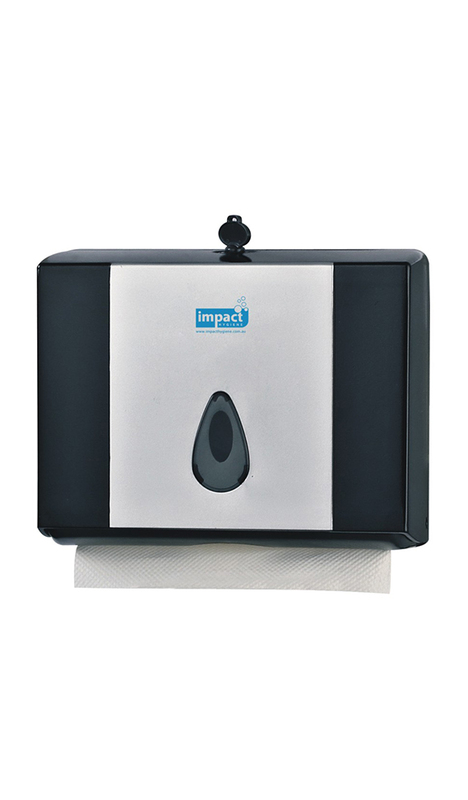 Horizontal wall mount, black and grey hand towel dispenser. Modern and slim line. Anti theft. Install with N folded paper towels, paper towels maximum length of 22cm, width of 8.2cm.